Japan based news site Nikkei reported that Apple is planning for its iPhone 7S, Organic LED screens. There are several rumors revolving round iPhones and according to reports, Apple planned to launch OLED for its upcoming iPhones but not earlier than 2018. However, sudden change in decisions have been made and the company is reportedly pre-poned the launch to 2017. Another news say that Apple has signed a $12 billion deal with Samsung and LG to manufacture the OLED displays scheduled for integration with iPhone 7S. Samsung has been using Organic LEDS on their Android phones since many years but it’s something that Apple is introducing to its iPhones. So definitely OLED is nothing new but its integration with iPhone 7S is remarkable. OLEDs have multifarious advantages over LCDs. 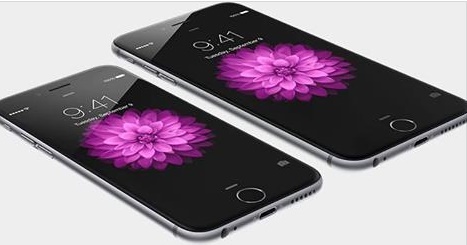 LCDs are currently used in iPhones but OLEDs are far more efficient in terms of display quality. The colors are vibrant and noticeable enhancements in dark colors, i.e. black appears blacker in OLEDs, Apart from the color perspective, OLEDS are thinner, flexible and more stable compared to LCDs. Besides, OLEDs save a lot of battery power. OLEDs are efficient but are costlier than LCDs. OLEDs are expensive to design and manufacture. So definitely we can expect a price leap for this reason single handedly. The rest of the features are unknown, but provided the reputation of Apple in bringing new features to its iPhones, the price will definitely multiply.